Green is having a moment – and it’s more than fleeting 15 seconds of fame. The color’s patron saint is a 14th century missionary by the name of St. Patrick. And more recently, another authority – Pantone – ordained Greenery as the color of 2017. Closer to home, the Robb & Stucky creative team gives this verdant hue an unequivocal thumbs up – green ones, of course – with some designerly observations on how to go-go green with style and panache. Snap, crackle turquoise, a lovely blue-green balance. Available at Robb & Stucky. First, even though it’s the season of St. Paddy, put your tinted beer aside. Let go of shamrock green, and kelly too! The hues and incarnations of green are amazingly manifold. Olive green is muddy and modern. Mint green is like a fresh spritz. Chartreuse green gives yellow a peck on the cheek. 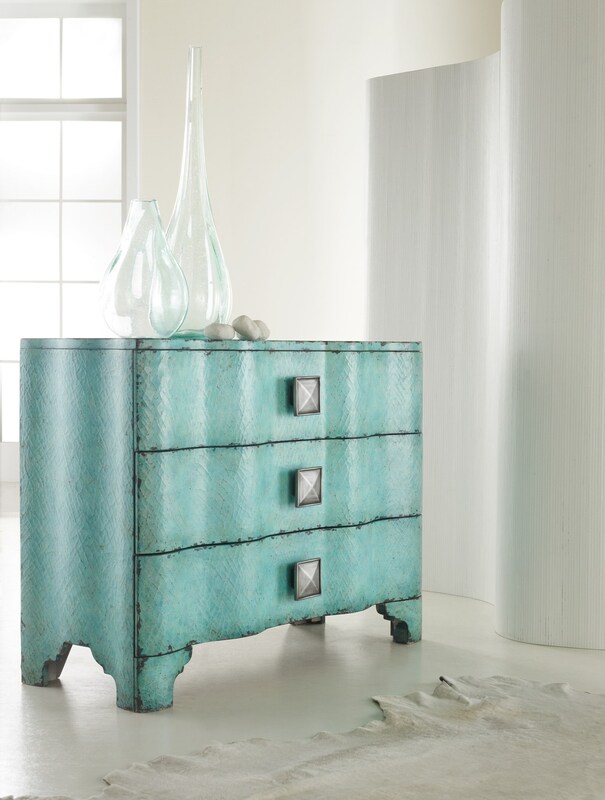 Spa green flirts with blue, and turquoise is a full-fledged blue-green love affair. Hello, Evie. 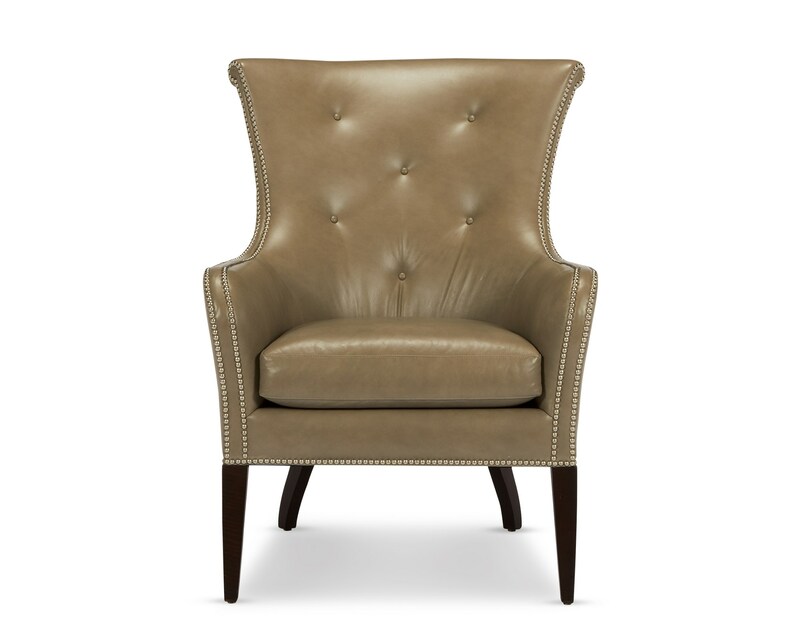 A modern chair dressed in olive green leather. Available at Robb & Stucky. Mixed greens are great. Feel free to explore the greenery color wheel, especially with a talented interior designer as your guide. You’ll find that even colors that seem to clash can be paired with amazingly harmonious results. The Verona Chair is an enviously green example. 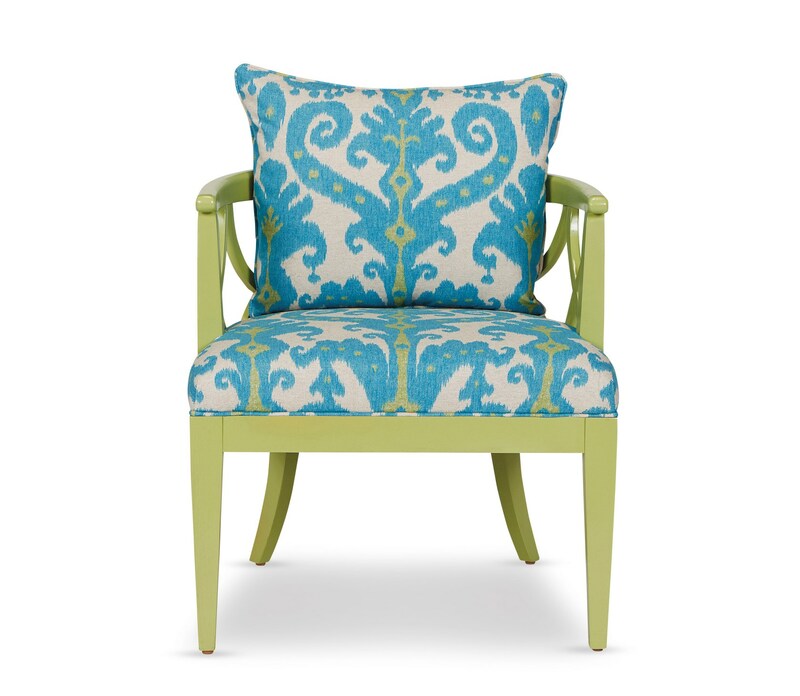 The stylish wood frame is painted high-gloss pistachio green, and paired with an upholstered seat back and cushion in an aquamarine ikat on a cream ground – with a zest of lime. It’s as yummy as it sounds! Colors that clash can be a match made in heaven. Pistashio and aquamarine faceoff. Available at Robb & Stucky. Green is an especially relevant and resonant color in Florida. Here, we happily blur the lines between indoors and outdoors. The color green – in all its rich, layered hues – acts as an emotional and visual bridge. Greenery is the color of unity. Green is not one color. 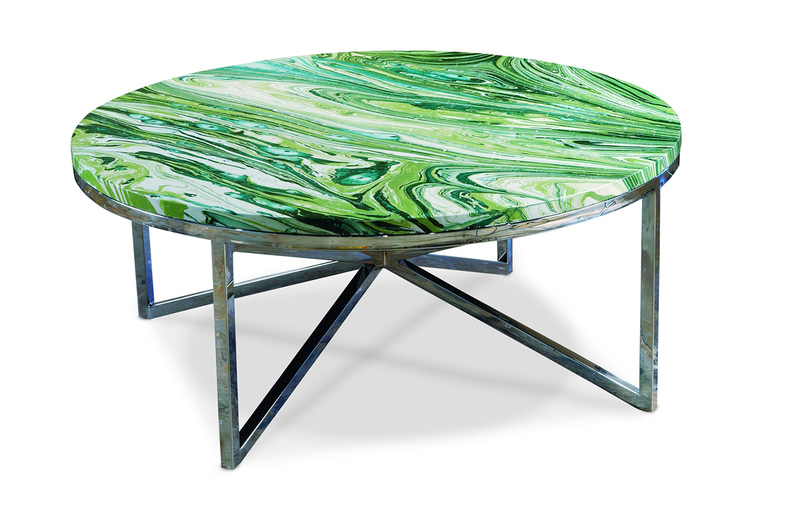 It’s as variegated as nature, as shown in this marble-top cocktail table. Available at Robb & Stucky. As for the wearing of the green...? It’s not about holidays, seasonality, trends or fads. Green is the color of the year – now and ever – in Fort Myers.